In my previous blog I commented on the Face Book comment by a woman named Brenda, that, "dozens of factors would have to change in our attitudes as individuals and as a society, before the U.S. would be ready for what's in that photo. (Israeli female teacher with rifle slung over her shoulder while walking with her students) Israel has been through *a lot* to get there, and most of those lessons were very hard-earned - and I would not trade places with them." I have received many comments on this blog, nearly all of them positive and supportive with a view towards learning from Israel. Learning from others always involves humility, learning from others always involves "emptying your cup" to make room for new knowledge. There is an old saying, Fool me once, shame on you, fool me twice, shame on me. The simple idea here is we need to learn from our mistakes. In Israel we learn from our mistakes and we learn to anticipate new situations. In 1968 El Al, Israel's national airline was hijacked by terrorists. Since then there has never been a successful hijacking of an Israeli plane. In 1974 there was a terrible attack on a group of Israeli school children in the town of Ma'a lot. That experience has never been repeated. After every event in Israel, after every terrorist attack, the experts do what we call in Hebrew "Lehafik lekahim"; To draw out lessons. Our experts analyze the case, tear it apart and figure out what went wrong and how we must change. I was only a schoolboy when "Ma'alot" became a household word. "Ma'alot" came to symbolize so much for us. It symbolized that every school child in Israel is a potential target. It symbolized that our enemies would stop at nothing to hurt us including attacking a bunch of kids on their long awaited school trip. It symbolized, as Brenda from Arizona wrote, that we must change our way of thinking. We changed our way of thinking, we adapted because we want to live. Everything about our schools changed. But here I will not discuss the school safety measures, this is not the place. As I wrote in my book, many visitors to Israel are offended by our security measures. Many people do not enjoy having strangers (Israeli security personnel) looking through their private belongings in their luggage, or asking very personal questions. But we Israelis, and our many friends, understand and accept this with a smile. I know I am not a terrorist and I believe that those who I have been hanging out with are also not terrorists but the security personal do not know this, and for the sake of everyone – they must ask, and search. From "Ma'alot" and onward everything about our schools changed. This does not trouble the kids, they are used to it; they have grown up with it. When I arrive at an international airport, on my way home to Israel, and I see the El Al personnel, I feel safe already. I know I am in good hands. When I arrive at a shopping mall and I must go through a metal detector, I am happy because I know that this scares the terrorists.The road blocks in Israel are annoying and frustrating but I always smile at the soldiers on duty because I know that we owe our safety to them. The last thing I want to do is act frustrated and insulted because I am being delayed and inconvenienced. The recent school attack in America was a great tragedy and there are no words to describe the pain. But what we are all asking is why does America experience the same attacks again and again and again and yet nothing seems to change. Where is the "Drawing out lessons"? I know that American presidents, like Obama and Carter, look at Israel and criticize. They seem incapable of understanding our actions, taken in the name of security. And yet, they seem incapable of protecting Americans in Egypt, in Iran, or even in the USA. We learn lessons, as Brenda wrote, "and most of those lessons were very hard-earned", but America criticizes and condemns us for protecting ourselves while refusing to learn those same lessons itself. Not every Arab is a terrorist, of course, and many of them too desire only to live in peace and raise a family. But when I speak with them I feel that they understand our situation better than our "allies" abroad. They understand the need for our security measures and they cooperate fully. They have come to understand that our only desire is peace and security. On nearly every El Al flight there are Arabs/Muslims/Christians and they understand that the security measures protect them as well. They too are Israelis, they understand. Whenever I hear of an attack, hand to hand situation, gun, or knife, I ask, I want to learn. I want to "Draw out lessons", I am always learning. I analyze the case. That is why IKI Krav Maga is always evolving and we are always improving. We are based in Israel and we think as Israelis think; analyze, learn, improve, adopt new security measures, and …"We won't be fooled again." Who are the Israeli people? 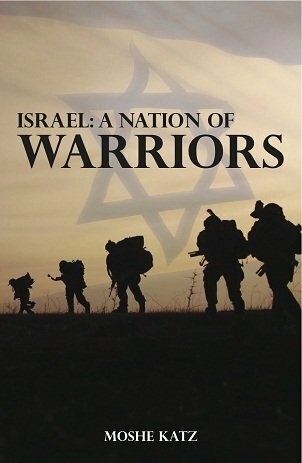 How did the Israeli population develop their unique mind-set and become the best trained population in the world, where ordinary citizens battle and defeat terrorists. ?